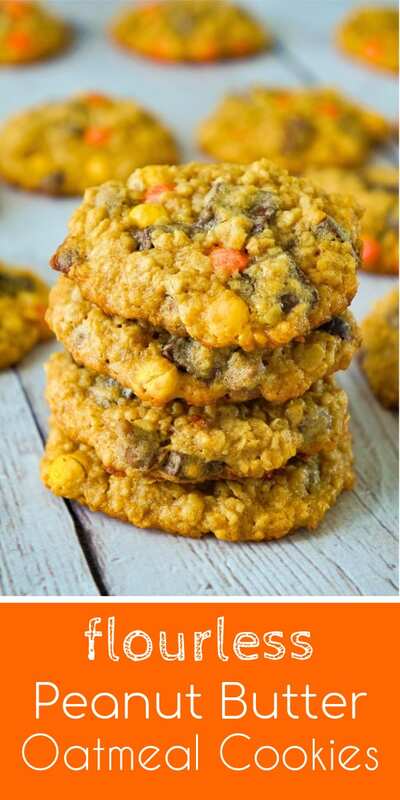 Peanut Butter Oatmeal Cookies with Chocolate Chunks are the perfect dessert recipe for peanut butter lovers. 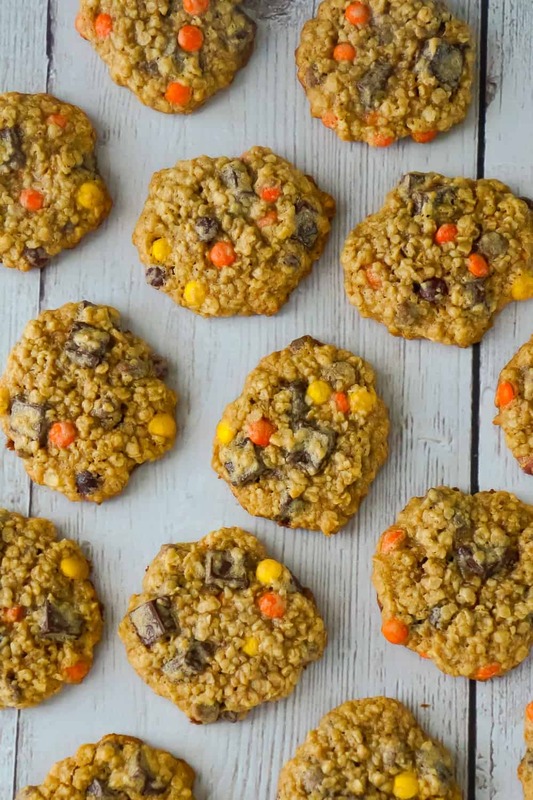 Watch the video to learn how to make Peanut Butter Oatmeal Cookies with Chocolate Chunks! 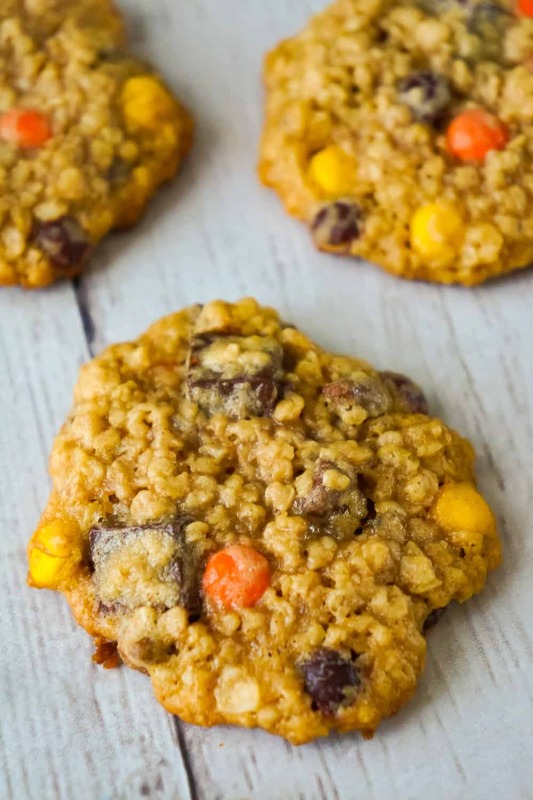 These flourless oatmeal cookies are loaded with mini Reese’s Pieces, milk chocolate chips and chocolate chunks. 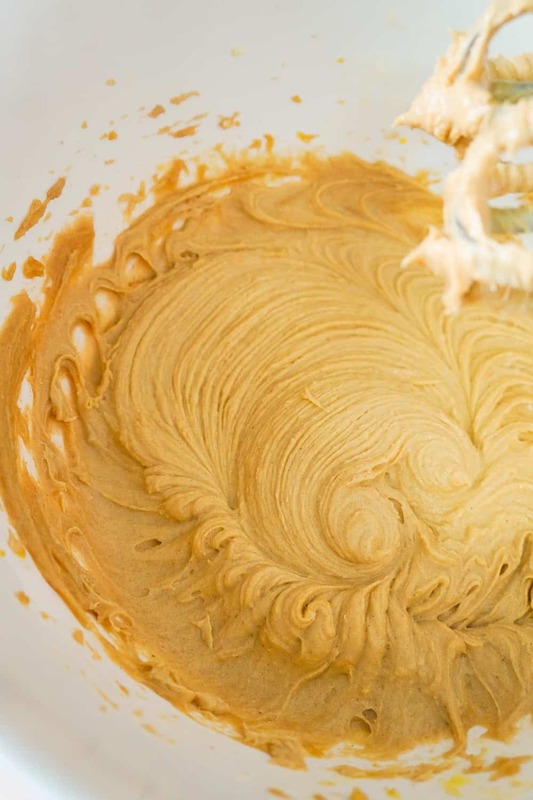 To make these cookies, I started by dumping some smooth peanut butter, softened butter, eggs, granulated sugar, brown sugar and vanilla into a large mixing bowl. Then I used an electric mixer to combine the ingredients until smooth. I added some quick oats, baking powder and salt to the bowl. Then I added some chocolate chunks, mini Reese’s Pieces and milk chocolate chips to the mixing bowl and stirred well. I scooped approximately one inch balls of the cookie dough onto a nonstick baking sheet, making sure to leave at least an inch between each ball of dough. Then I baked the oatmeal peanut butter cookies until they were just starting to brown around the edges. I used a spatula to transfer the cookies from the hot baking sheet to some parchment paper on the counter to cool off. 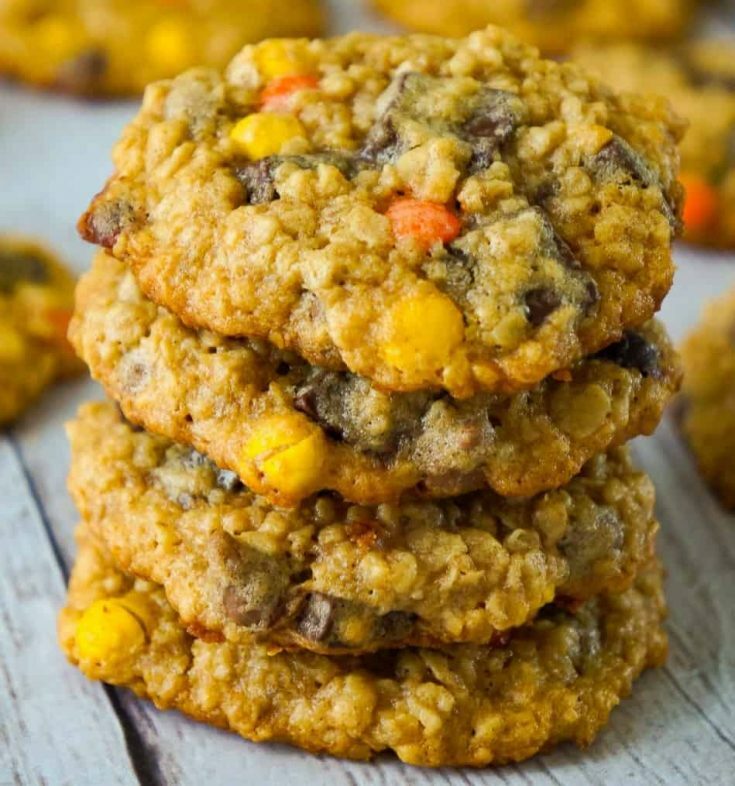 These chewy oatmeal cookies are packed with peanut butter flavour. 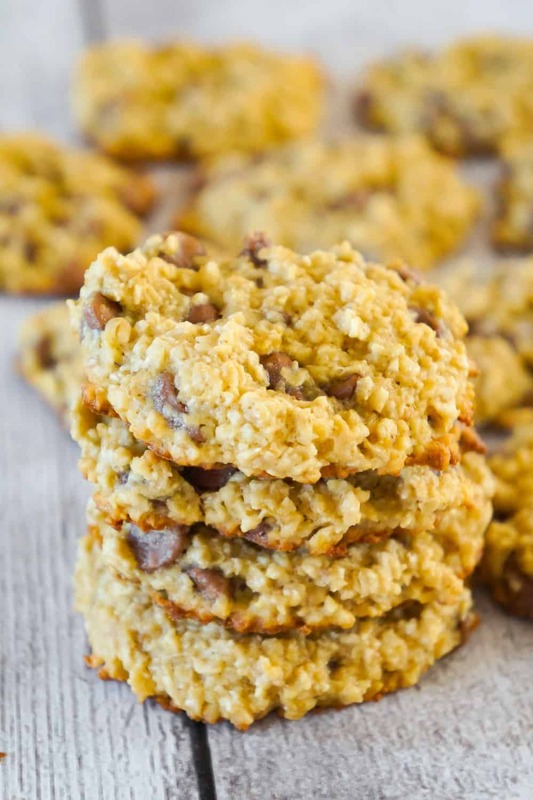 You need to try these homemade Peanut Butter Oatmeal Cookies with Chocolate Chunks! More peanut butter oatmeal cookies. 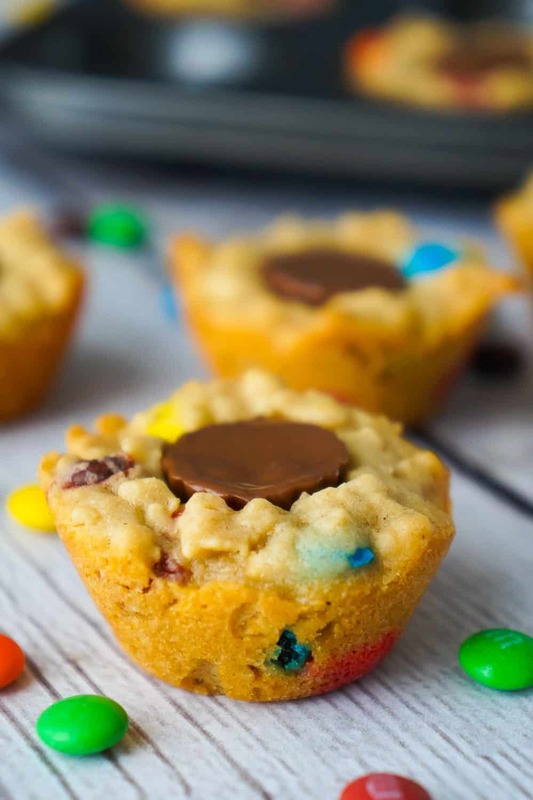 Check out these Peanut Butter Cup Stuffed Monster Cookie Cups! 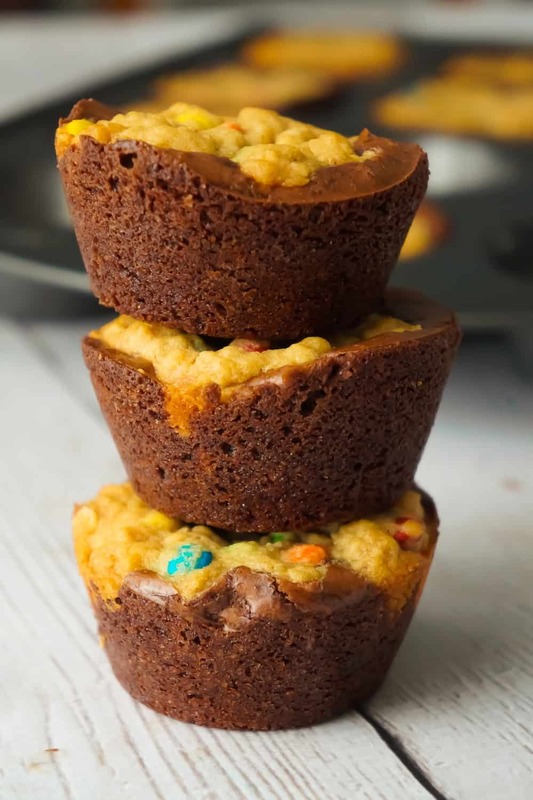 Be sure to also check out these Monster Cookie Brownie Cups! More peanut butter cookies. 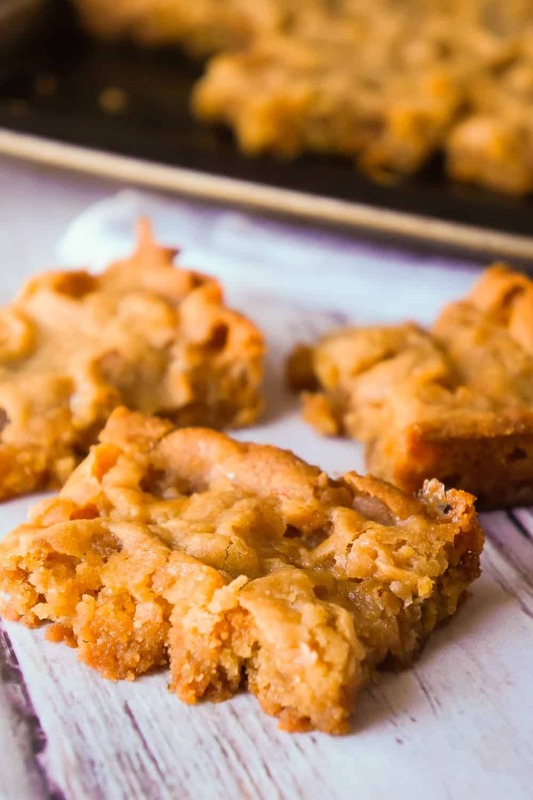 Check out these Peanut Butter Marshmallow Cookie Bars! Peanut Butter Oatmeal Cookies with Chocolate Chunks are the perfect dessert recipe for peanut butter lovers. 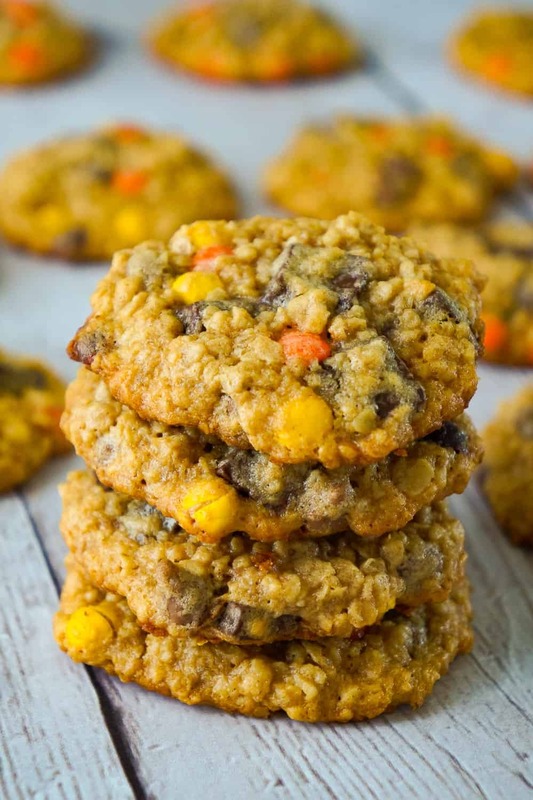 These oatmeal cookies are loaded with mini Reese's Pieces, milk chocolate chips and chocolate chunks. 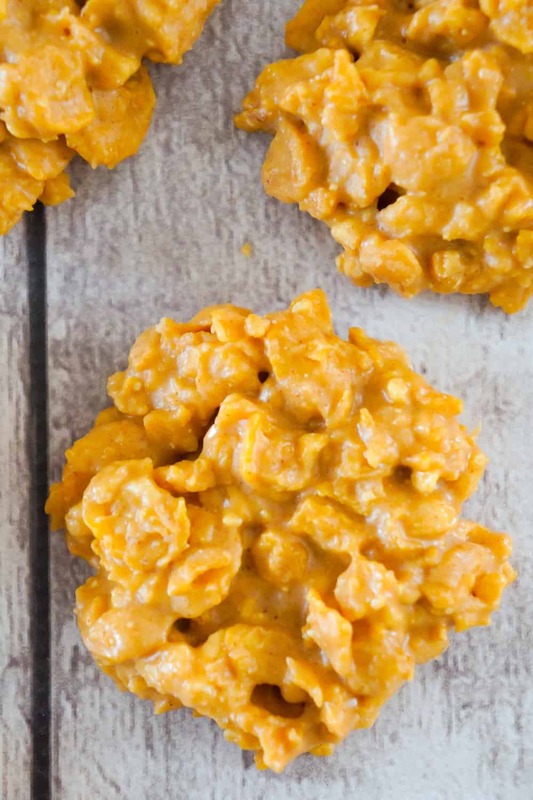 Use an electric mixer to combine the ingredients until smooth. 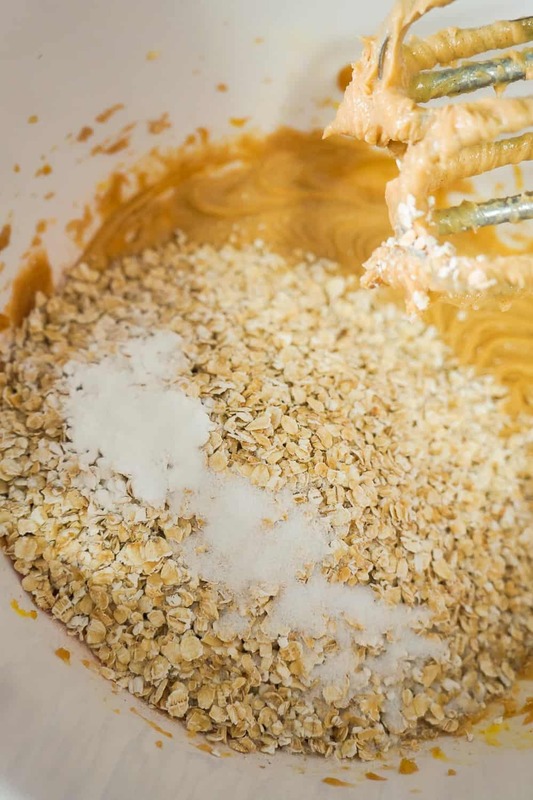 Add the quick oats, baking powder and salt to the mixing bowl. 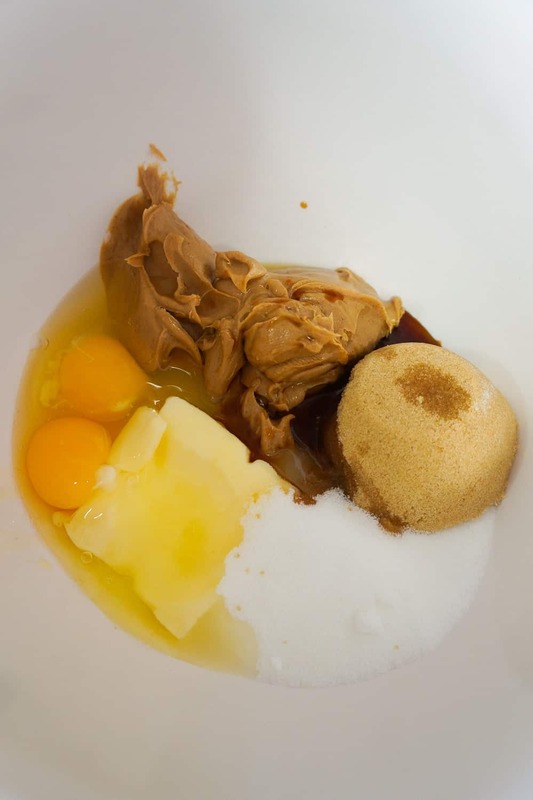 Continue mixing with the electric mixer until all of the ingredients are fully combined. 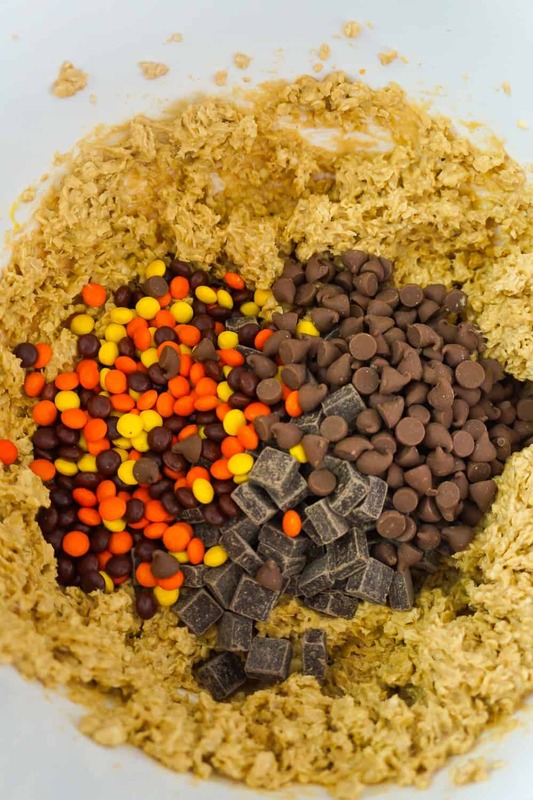 Add the chocolate chunks, mini Reese's Pieces and milk chocolate chips to the mixing bowl. Use a rubber spatula to stir everything into the cookie dough. 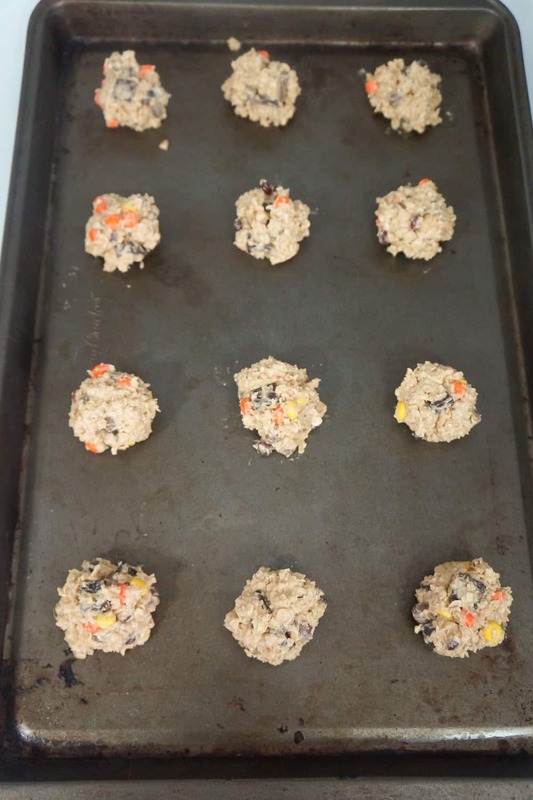 Scoop the cookie dough into balls approximately one inch in diameter and drop them onto a nonstick baking sheet. Leave at least an inch between cookie dough balls. 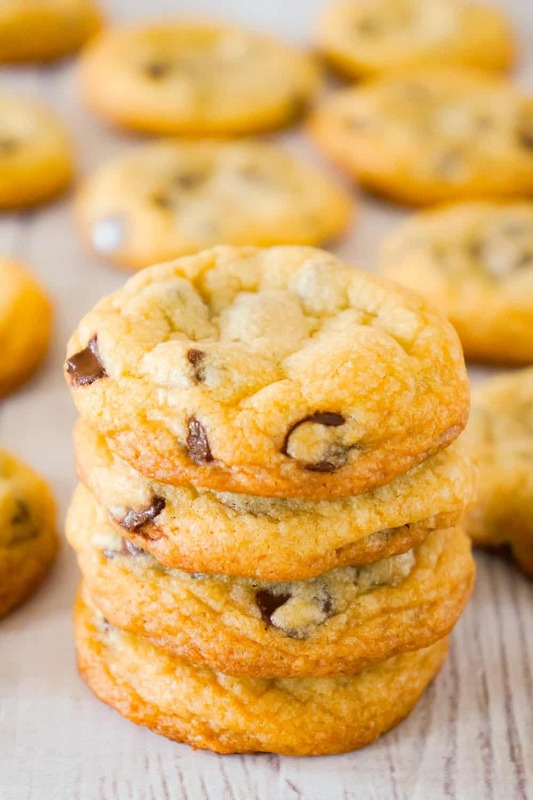 Place the cookie sheet in the oven and bake until the cookies are just starting to brown around the edges. 12-14 minutes. Remove the cookies from the oven. Then use a spatula to lift them off the baking sheet and place them on some parchment paper on the the counter to cool off. These are awesome and they have NO FLOUR. I just used gluten-free oats and I was good to go!! Next time I think I will switch out all the chocolate and candy and use raisins. Thanks for this great flourless cookie recipe!! 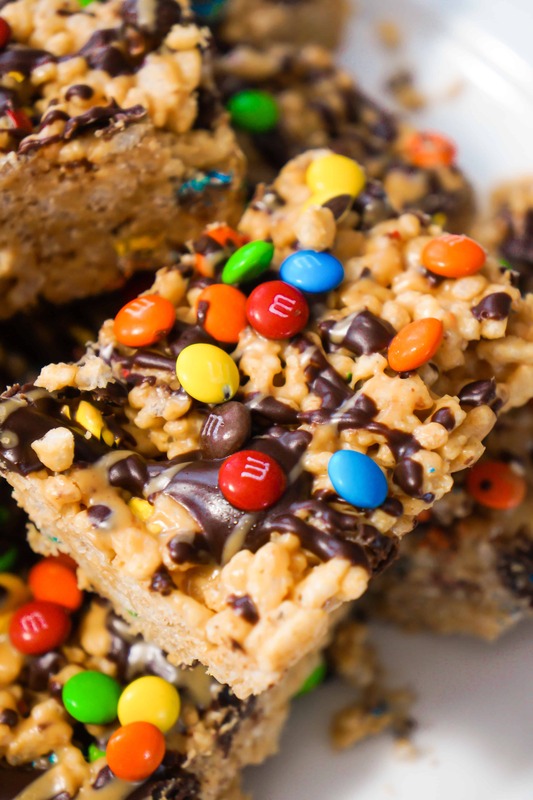 Made these again and substituted raisins for the chocolate and candy. A winner again! !